Crabs and lobsters, which are both crustaceans, are world-famous for being delicious seafood. Although they look different from each other, the two are often interchanged by some people. 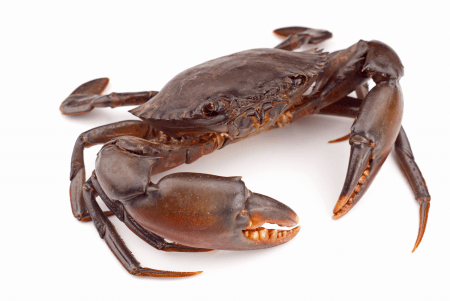 In this article, we will discuss the difference between a crab and a lobster. Crabs are decapod crustaceans that belong to the infraorder Brachyura. Their bodies are wide and their eyes are held by eyestalks. Their tails and antennae are small and are almost unnoticeable. They have a pair of chelae, or claws, and uneven legs which they use to walk sideways. Male crabs generally have larger chelae and a narrow pleon, or abdomen, while female crabs have smaller claws and a round abdomen where they store their eggs. Crabs can be as small as a few millimeters and can be as large as 13 feet. They can live up to thirteen years. Crabs are omnivorous crustaceans. They eat algae, worms, plankton, small fish, fungi, mollusks, and even other crustaceans. They dwell in saltwater, freshwater, or on land. According to research, crabs are cooperative creatures. They work together to protect, feed, and find shelter for their families. However, they can also be hostile towards each other. Males are known to fight other males to find their mating partner and hiding holes. Crabs provide juicy, delicious meat and are typically abundant in warm areas. Lobsters belong to the Nephropidae or Homaridae families. They are large crustaceans with elongated bodies, muscular tails, and long antennae. They have five pairs of walking legs, with the first pair being noticeably larger than the rest. Lobsters can grow up to twenty inches long and can live up to seventy years. Lobsters are omnivorous creatures. They primarily eat fish, worms, seashells, seaweeds, and other crustaceans. When food is scarce, they scavenge and may also eat other lobsters. They like to live alone in burrows or in rocky, muddy crevices on the sea floor. Since they are arthropods, lobsters molt to grow. As they shed their shell, they also change their color. They walk slowly using their legs, but they swim backward quickly when threatened. Lobsters are usually found in warm oceans. They are prized for their delicious meat and are considered a delicacy in some countries. What, then, is the difference between a crab and a lobster? Crabs belong to infraorder Brachyura while lobsters belong to the Nephropidae or Homaridae families. In terms of appearance, crabs have wide bodies with a pair of claws and uneven legs. Male crabs generally have larger chelae and a narrow or abdomen while female crabs have smaller claws and a round abdomen. Their eyes are held by eyestalks, and their antennae and tail are unnoticeable. On the contrary, lobsters have elongated bodies. They have five pairs of walking legs. The first two legs are claws. Their tails are muscular and their antennae are long. In general, lobsters are larger than most crabs. Crabs and lobsters also differ in the way they move. Crabs walk sideways while lobsters swim backward. When it comes to behavior, crabs are social and cooperative animals. They help feed and protect each other but can also display aggression towards each other. Lobsters, on the other hand, are solitary creatures. They also have a longer lifespan than crabs. 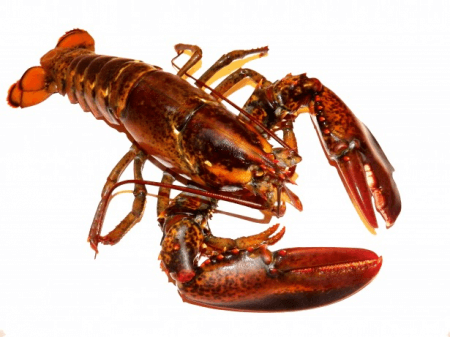 Typically, lobsters are more expensive than crabs.